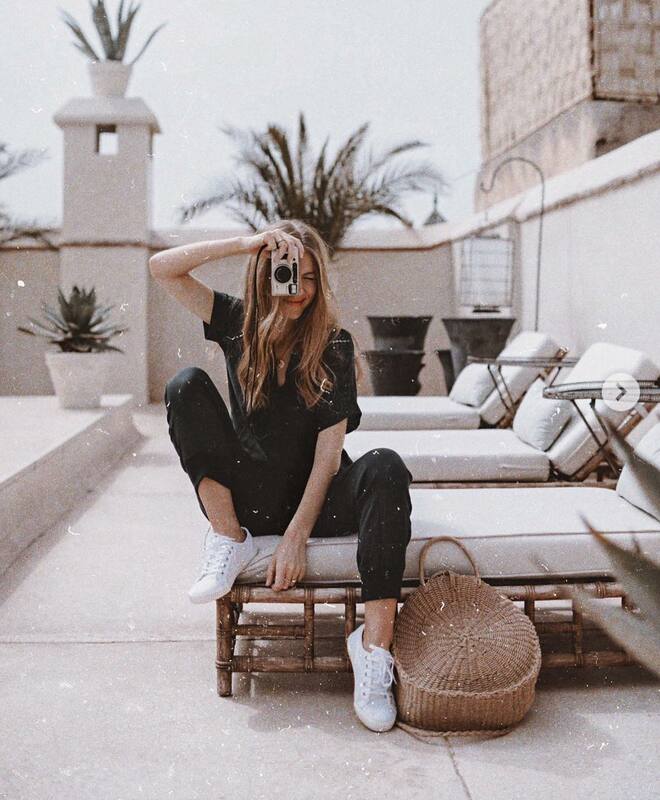 Get inspired by this cool, urban OOTD. We see a black cargo jumpsuit with short sleeves completed with white sneakers and rounded straw tote bag. A perfect outfit idea for Summer city walking tours.